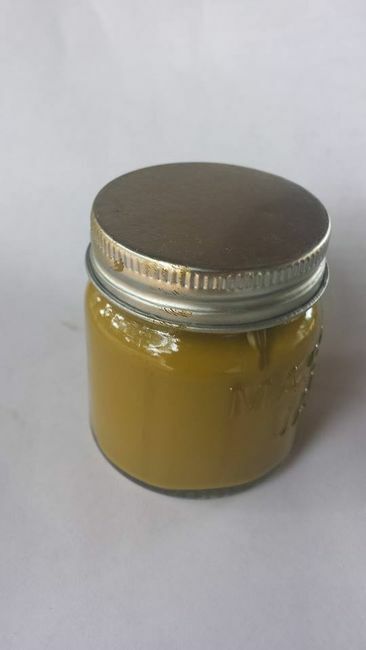 New M5 Vesicant Gas Detector Paint color matched from an original can of vesicant paint. 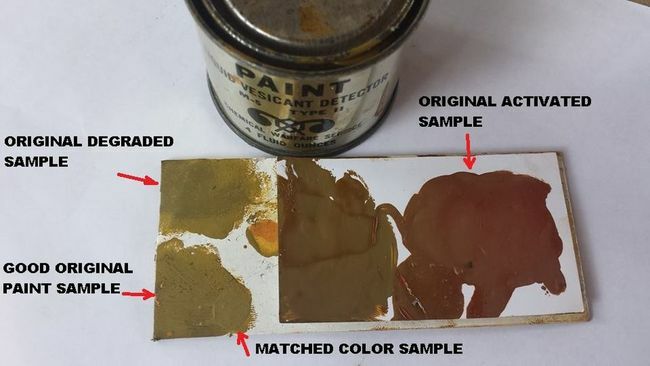 Some original cans of paint are starting to degrade and the color turns to a brown color. In addition, original paint CAN INDEED turn pink/red. It cannot return to its original color. This paint had a number of applications. 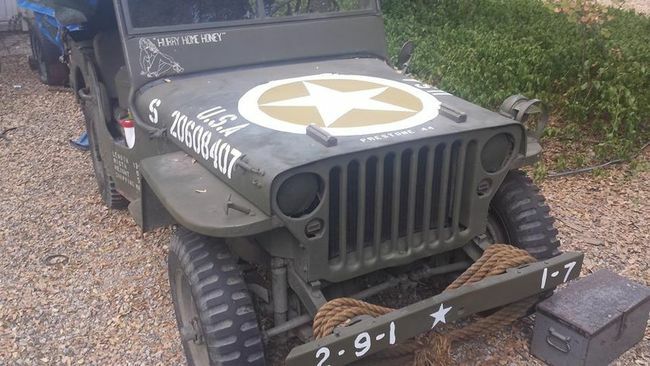 It was painted on vehicles, helmets and even on the cuffs of paratrooper jump jackets. This new paint is acrylic based and made lusterless (flat). Each jar will cover approximately one square yard. $12 shipped CONUS only. 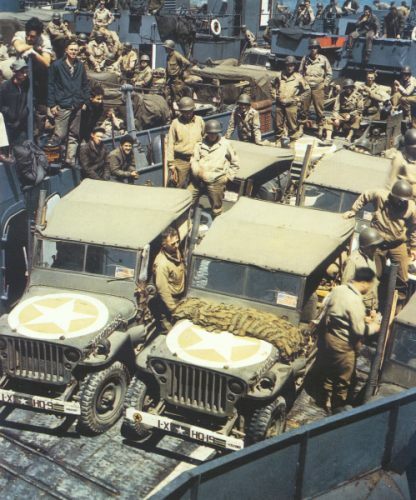 Below is a color photo of jeeps waiting for embarkation to participate in the Normandy invasion. The invasion stars have had the inner circles painted with vesicant pant. Last edited by Farrell Fox on Thu Aug 27, 2015 12:48 pm, edited 1 time in total. I sold out on the first batch and just had some more made. I just finished applying some to my own jeep. I`ve ben looking for gas detection paint for my WC57 for some time. I was told about your color matched paint from a friend of you, Meyers Boone, through E-bay. Your paint looks great!! Do you ship to Norway? I would like to order two bottles if possible. I can't ship liquids overseas, customs will be a nightmare. However I can send you a sample card to have your own matched. I have to give a good review to Farrells' paint. It provides a unique and under represented detail most vehicles are missing. Thanks again Farrell! It would detect Mustard Agents, and nerve agents (which weren't common in WW2 but the Germans had developed them). But if your hood turned colors after exposure to a nerve agent, you would not be alive to see it. A vesicant is a thing that causes blistering. The gasses this was meant to detect in WWII were Mustard gas and phosgene gas which were used by the Germans in WWI and were expected to be used again if the Germans ignored the Geneva Protocol. While there can be neurological damage caused by exposure to high doses of these gases they aren't nerve gasses. They are meant to blister the skin, lungs eyes and anything the agent comes in contact with.